A converted manor house, with offices refurbished in a style befitting its Grade11 listed status, retaining many of its original features. Close to local amenities and Folkestone Central station, which serves London St Pancras and Charing Cross. Easy access to the cross channel ferry terminal. This business space is located overlooking the Channel Tunnel Termninal, alongside Junction 12 of the M20 motorway. Transport links are impressive, with St. Pancras International Station accessible within an hour, thanks to the High Speed rail service. 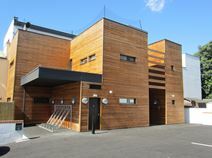 On-site, there are a number of amenities, including air conditioning, meeting room availability, administrative support, IT support, postal facilities and mail handling, secure parking and reception services with telephone answering. This centre boasts a creative atmosphere, a number of membership options, and a wealth of amenities. The centre offers both serviced and coworking solutions, with either membership making you entitled to some great perks. Tenants will be able to enjoy the many breakout spaces, meeting rooms, reception services, superfast WiFi, refreshments, phone booths, cycle storage and much more. The centre is based in the heart of Folkestone's Creative Quarter - an area filled with artists and creatives of all kinds. Modern business premises offering a broad variety in size of office and workshop spaces. The property is located in close proximity to Junction 13 of the M20, and there is a large on-site car park. 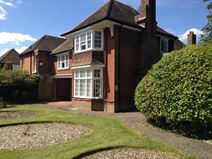 It is conveniently situated for Folkestone town centre and channel crossings. This is an inspiring business workplace, in a central location, just moments from Folkestone harbour. 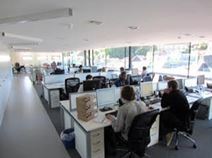 Offering a range of solutions, from desk space for one person to entire floors for large teams. A full range of quality amenities is available to clients, including virtual packages. The centre is very well connected, with the railway station providing connections to London St. Pancras International. 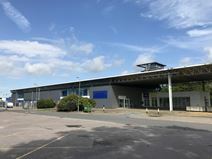 Located in a redeveloped area of Folkestone, this space is accessible with a fob 24-hours a day, allowing for flexible working hours if required. Nearby Folkestone Central Railway Station offers services to London, as well as Dover, and the space is also close to the historic Folkestone Harbour. On-site, there is a professional meeting room available, as well as kitchen facilities and an exclusive balcony area.